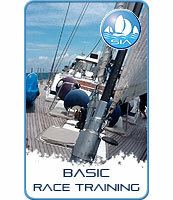 This course is designed for yachtsmen with racing experience. The course is designed to enhance the knowledge, skill and technique. This will improve your performance in a yacht race.